Where were you when Michael Jackson unveiled his iconic moonwalk for the very first time? This cultural milestone was one of many incredible moments that took place during the legendary TV special Motown 25: Yesterday · Today · Forever when it debuted on NBC on May 16, 1983. The historic concert event has never been rebroadcast on television since that night, and was available on DVD just last year. 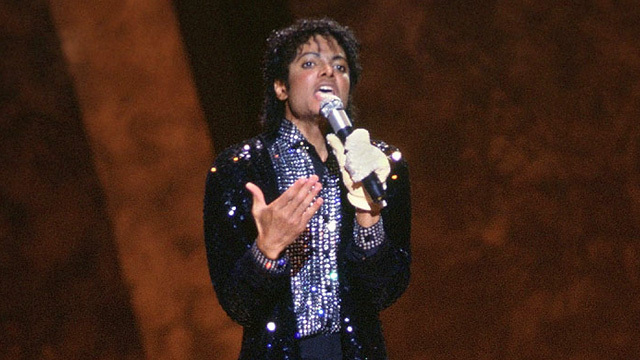 But on February 28th, PBS will air Motown 25 on stations throughout the country, giving fans a second chance to see the magic and history of both the television special and the famed record label. It will make its national PBS premiere on February 28 (check local listings for station information and broadcast times) and will run throughout March as part of the PBS Pledge Drive. Produced by de Passe Jones Entertainment and Berry Gordy’s West Grand Media, Motown 25 was taped before a live audience at California’s Pasadena Civic Auditorium and showcased virtually every Motown artist from the company’s inception, including Michael Jackson, Marvin Gaye, Smokey Robinson, Stevie Wonder, Diana Ross, The Supremes, The Jackson 5, The Miracles, The Temptations, Four Tops and many others. The show also featured many guests outside the Motown Records sphere who had been influenced by Motown artists, including Linda Ronstadt, who performed a memorable duet with Smokey Robinson, Billy Dee Williams, Jose Feliciano and British new wave star Adam Ant, who was riding a wave of popularity from MTV exposure. As an added highlight, the historic evening was hosted by Richard Pryor, who was arguably the hottest comedian in the world at the time. A seminal event in pop culture history, this concert event, which would capture the Emmy® for Best Variety Program and a George Foster Peabody Award, would establish the gold standard for all future televised concert events and go on to provide the backstory for the Tony®-nominated Broadway play, Motown The Musical. Motown 25, being jointly distributed by StarVista Entertainment/Time Life, producer TJ Lubinsky and de Passe Jone Entertainment, will be used for PBS’ March Pledge Event. Premiums will include tickets to “Motown: The Musical”, now touring nationally, as well as a DVD of thef ull concert in newly remastered 5.1 surround sound with more than an hour of bonus material, including the 40-minute documentary The Making of Motown 25 and a performers’ roundtable; an expanded three-DVD set contains more than six hours of extras, such as outtake songs, footage of a Marvin Gaye rehearsal, and performer and production roundtables. Additionally, the “My Music” seven-CD set Motown Big Hits & More featuring 132 cuts from the label’s other performers, including the Spinners, Gladys Knight and the Pips, and the Isley Brothers will be available for fans of the era. “With the popularity of ‘Motown: The Musical’, which continues to open in major markets across the U.S., and the program’s recent success on DVD, there’s never been a better time to re-air the original broadcast”, says Suzanne de Passe, the Executive Producer of the TV show. “Whether you’re discovering that incredible night of music for the very first time, or are huge fan of Motown whose been eagerly awaiting the show’s return to TV, ‘Motown 25’ offers a lifetime of magic and memories for all everyone”.